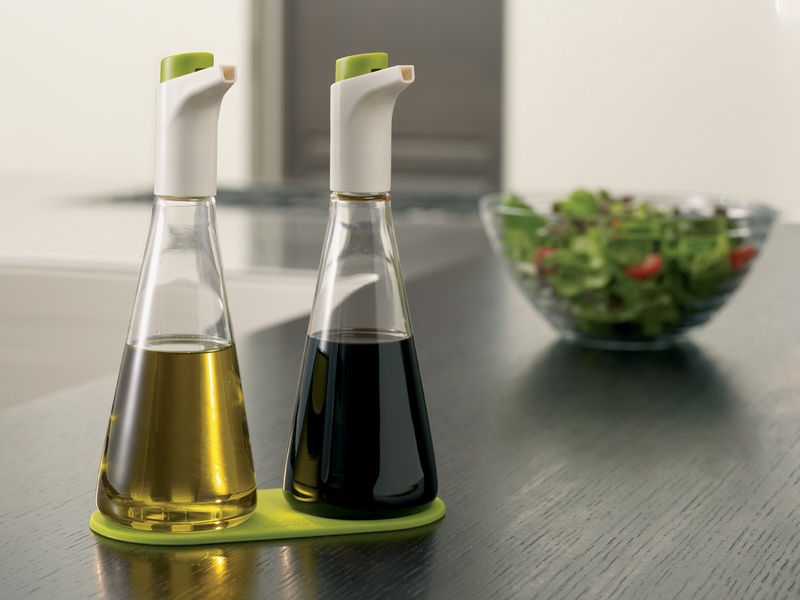 Spring/Summer 2011 also sees the launch by Joseph Joseph of Flo™, an oil and vinegar set with – as the name suggests – adjustable flow control. Dressing food with oil and vinegar can be problematic, with their differing viscosities often leading to too much or too little of each being dispensed. The innovative design of these stylish flasks eliminates that problem, by allowing the flow of liquids to be finely adjusted whilst pouring.